Toyota has announced plans to show off its latest autonomous technology at CES with its Platform 3.0 test bed. 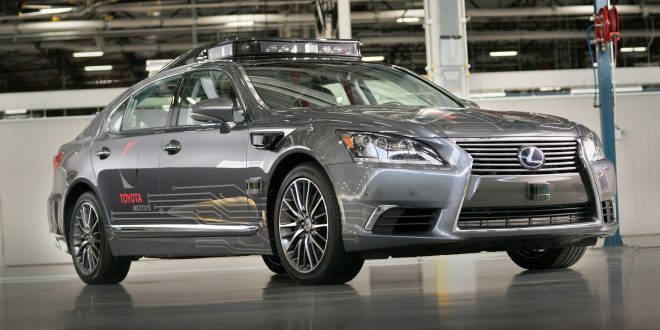 Platform 3.0 is actually a Lexus LS 600hL with a ton of new sensors and cameras attached, giving it what Toyota calls one of the most “perceptive” autonomous vehicles on the road. The story with Platform 3.0, developed by the Toyota Research Institute, is that all of the necessary sensors notorious of autonomous test vehicles are largely hidden. The rotating LiDAR sensors found on the rooftops of most autonomous vehicles are hidden in a panel atop this test Lexus. The panel provides 360-degrees and up to 200-meters of LiDAR scanning; an enhancement from previous system’s forward-looking only version. Additional sensors can be found as patricians on the side of the car, but again Toyota has done their best to attempt to hide them. While the Platform 3.0 is still not visually perfect, it is a noticeable improvement from other automakers’ autonomous test vehicles. Production of the Platform 3.0 system will actually commence at Toyota Motor North America R&D headquarters later this year in low volumes. The initial cars will be fitted with dual-cockpit options to switch between human and machine control, while single-cockpit (autonomous-only) versions will follow. Toyota also says this suite of features and hardware are designed to be produced at a mass scale.